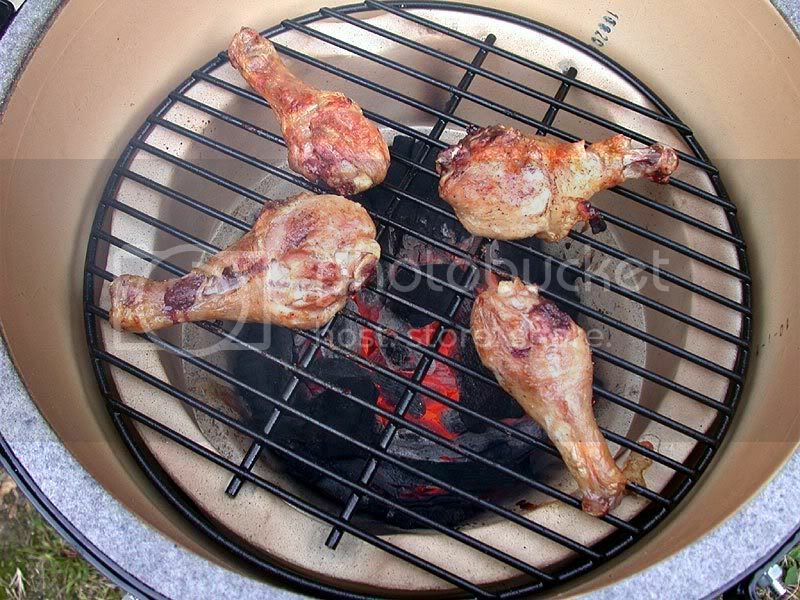 Picking up and seting the Large BGE up today. WHat is a good start out recipe to try for a Newbie? I am a Chef and know how to cook and grill. I just need some pointers on the BGE style. Cheeck out the cookbook/recipes option at the top of the page for some good ideas. Happy Eggin'! Now in 3 weeks have tried: steak, pizza, drunk chicken, wings, etc. Today we will try a pork tenderloin. I would suggest chicken. I like to get skin on breasts, marinade them in Italian Dressing. I then cook them direct, skin down to get a nice crispy skin, The I put my plate setter in, cool down the egg to 250 ish & let the magic of convection work. The breast come out so juicy, you can fill up cups of juices! Enjoy! Where do you work & live? do what you are comfortable and familiar with. keep it simple. learn temperature control. if you haven't used lump charcoal before, learn to wait till the smoke clears prior to putting on the meat. the egg is just another heat source, but a much more versatile heat source. 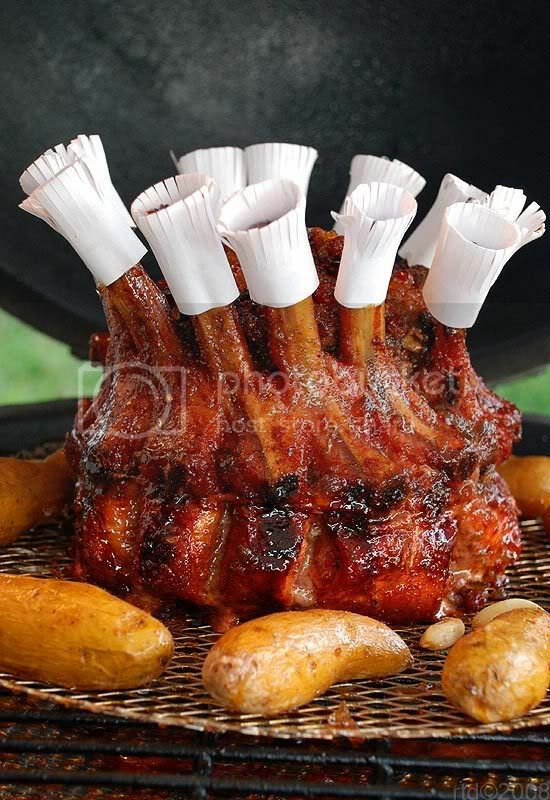 you need to decide if you want to smoke, grill, roast, or bake and set your temperature and set-up accordingly. I live in the Minneapolis area. Been working at some very nice Fine dining establishments. my first cook , oven stuffer roaster above a drip pan, no water, @350 20 minutes per pound [till the thingy pops up] just like the oven. i suggest this simple cook so you will appreciate how moist the egg keeps your food and it is a forgiving cook that will allow you to work on temp control as well. 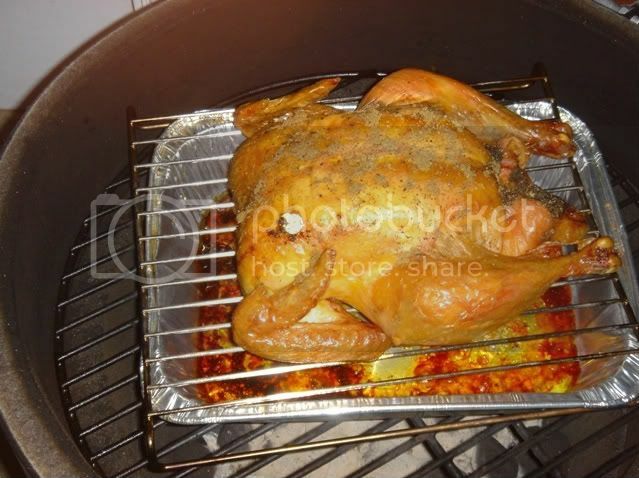 my kids were afraid to eat is as it was so juicy they thought is was not fully cooked.. have not used the oven since. 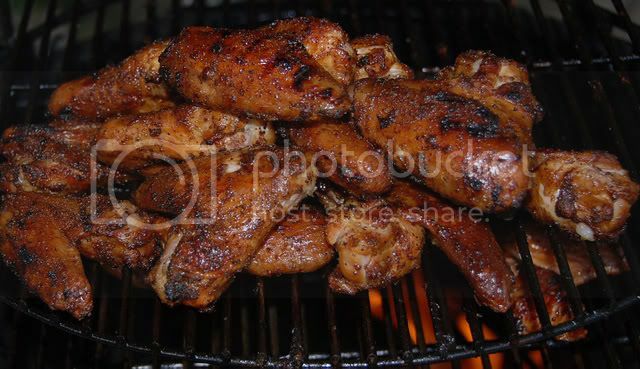 will you be cook'n one of those lovelies next weekend, on Saturday, perhaps in a parking lot somewhere ? I'd suggest something that can be cooked in the 300 - 400 degree range. Getting the hang of temperature control is essential. Fairly small changes in the vent setting can make a big difference. And, the fire can build up quite a bit of momentum going up, so you want to start shutting vents before reaching the temperature. Above 450, the temperature can zoom way up in just a few minutes. My first was some "boneless babybacks," just marinated for a few hours. Cooked indirect over a fire brick split. Was quite good, altho the bit that was just over the edge of the brick got burnt. do wings, not hard cook but good practice controlling the temperature, can do em direct indirect, but recommend raised grid either method. Welcome Chef. You'll have no problem with using your egg. Once you get the hang of temperature control your learning curve will go up sharply. Except for using very very high temperatures in the beginning there's not much else to warn you about (gasket break-in). I had lots of trouble getting temperature control down in the beginning, so I did some "air cooks" just to see what it took to stabilize the different temperatures. It's easy now, but I thought I'd never get it at first. Have fun, and good luck. BTW my first cook was marinated, skinless, boneless chicken breasts. Welcome to the wonderful world of Egging. I usually recommend pork steaks for first cook because they can be grilled or barbecued. They are really hard to screw up. Tri-tip would be my second choice. With either, you have a few options for set-ups, they both can tolerate a variety of cooking temps and finish temps too. Depending on how you choose to cook them, they take just long enough (less than 1 or up to 4 hours) to allow you to play with your new toy. Steaks are wonderful, but need a higher temp fire and the cook is over in a few minutes. Chicken can take some practice to match the doneness with crisp skin you may expect. Ribs require longer cook times (5 to 7 hours) and a few practice runs are a good idea to get them way you like them. Butts and brisket take a real long time and you need to work a little on fire control before jumping in on a 12+ hour cook. 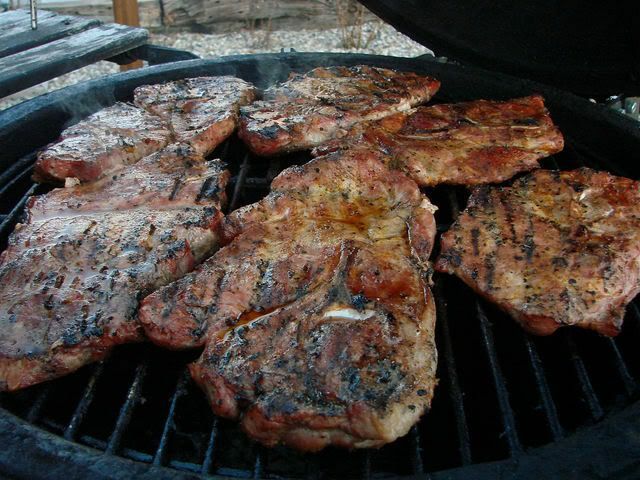 There is a link to my cookin' site below with some tips and recipes including pork steaks. Boneless baby backs? Never heard of them. Clue me Daddy.